Flowcharts are a great way to visualize data and we’ve taken a look at the best flowchart and diagramming software for Mac. The best flowchart and diagramming apps like the amazingly automated SmartDraw make it easy for Product and Project Managers to map out process flows or workflows to help optimize business processes. This is an essential addition to any project management tool as its crucial for communicating clearly visually. Many Windows users use Visio for flowcharts and diagramming but since it’s only available for PC, some Mac users resort to one of these excellent alternatives to Visio for Mac instead. You’ll find all the apps here however are particularly well suited to making flowcharts or diagrams compared to Visio, easier to use, inexpensive with tons of templates and automated features that do the hard work for you. Here then is our list of the top flowchart and diagramming software for Mac in order of ranking. The main reason we like SmartDraw so much is simply because it makes drawing professional looking flowcharts unbelievably easy and fast. SmartDraw has been in the diagramming software business for over 20 years and makes it very easy to create eye-catching flowcharts in half the time it takes with most apps. In fact, SmartDraw is superb at pretty much any type of diagramming and has rapidly become a popular replacement for Microsoft Visio on both Mac and PC. Here are some of the reasons that make SmartDraw our top choice. SmartDraw easily has the biggest selection of flowchart templates of any diagramming software with templates including Business Process Mapping, EPC Diagrams, Influence Diagrams, Swim Lane Diagrams, Workflow Diagrams and many more. SmartDraw has a slick, polished interface and uses high quality vector graphics whereas most online flowchart software uses pixelated bitmap graphics. This makes flowcharts look extremely professional and eye catching compared to other flowchart drawing apps. It’s incredibly time saving because SmartDraw automatically “smart” formats diagrams for you. Whenever you add or subtract parts of your flowchart, SmartDraw automatically adjusts and re-balances diagrams all swimlanes and boxes so that it always looks clean and organized. There’s no need to spend time manually going through diagrams or flowcharts and re-balancing them after you’ve made changes. SmartDraw has a crazy number of shapes and objects. There are more than 34,000 shapes and objects to choose from, all as high quality vector graphics. We really like the nomination and confirmation flowchart template. SmartDraw will automatically suggest and insert nomination processes for each stage which you can keep or delete as appropriate. For instance, in this flowchart for the U.S. Supreme Court Nomination and Confirmation Process, SmartDraw automatically provides the steps which are most commonly used in such processes which you can then move, delete, edit or keep in the flowchart as needed. If you need to import flowcharts created in Microsoft Visio, you can import Visio VSD and VSDX files easily. SmartDraw is also the only diagramming app that can export into the VSDX format used in Visio 2016. Since SmartDraw is cloud based, it saves all flowcharts on its own servers but you can also choose to save to online storage solutions such as OneDrive, DropBox, Google Drive and G Suite. There’s no noticeable lag when using SmartDraw. Dragging and dropping is as smooth and fast as any desktop app. You do always require an internet connection to use SmartDraw though – you can’t work with it offline. You can get started now with SmartDraw for free to judge for yourself. You can also check out our full SmartDraw review for more on everything it can do. Price: Single User $9.95/month or Team $5.95+/month. Like SmartDraw, Lucidchart is a cloud based diagramming software that makes it easy to create flowcharts on Mac. Lucidchart doesn’t require any installation and since it’s cloud based, works on any version of macOS. Lucidchart isn’t quite as slick as SmartDraw as it doesn’t use vector graphics and there are far fewer templates. It is however very similar on many levels. On the plus side, it is better integrated with Microsoft Office as it has an Office plugin which enables you to create flowcharts directly within Microsoft Office apps such as PowerPoint, Word and Excel. Lucidchart also allows you to work offline via a free Google Chrome plugin and you can create Lucidchart flowcharts within Google Docs too. Lucidchart can import Visio flowcharts in VSDX and VDX format but it can only export to the older Visio VDX format used in Visio 2010 and older. It can’t export to VSDX format used in Visio 2013 and above. Creating flowcharts with Lucidchart is very straightforward. You simply need to enter your email address to go straight to the editor or you can use your Google account to sign-up. When you sign into the editor, Lucidchart will ask you what type of industry you’re in so it can customize the interface for you. Once you’ve selected an industry, you’ll then be given a choice of things you’d like to visualize. Just select the type of diagram you’d like to create such as flowchart. Like all flowchart creation, creating flowcharts with Lucidchart is easier if you approach it methodically as follows. To help you make your flowchart, start by writing down every step in the process you’re trying to capture. For some steps, you may be unsure of the order in which they should be listed. Ask yourself what decisions need to be made before future steps can happen; this will help you flesh out the process. Lucidchart offers a variety of flowchart templates which do the hard work for you such as the business process template below. However, you can simply start from scratch. In Lucidchart, the flowchart shape library is automatically turned on. Depending on the complexity of your flowchart, you may want to add other types of shapes. You can also refer to the flowchart glossary for more flowchart shapes and their meanings. For the last shape in your flowchart, use another elongated circle like the one you began with; this signifies the ending. To make things easier, if you hit the F1 key, you’ll see a list of Mac keyboard shortcuts that will speed up your diagramming. Once you’ve finished drawing, connecting, and labeling your shapes, you can color code your chart. The paint can on the top panel will help you add color, or you can choose a set theme from the Graphics option on the right-hand panel. Having color will help your chart stand out and give it a professional touch. Once you’re done with your flowchart, it’s always a good idea to have a colleague or friend review it for you. The most important thing they should look out for is that each step in your process is clear. You can do this easily by clicking “Share” in the top right corner of Lucidchart. Note that anyone you share the flowchart with will require a Lucidchart account in order to view it. After you’ve had your flowchart vetted, you can save it as a PDF, print it out, export to Visio or show it off in Lucidchart’s presentation mode by clicking “Present” in the top right corner. If you want to lighten-up a presentations or document, it’s also worth mentioning that Lucidchart can also be used to produce fun pop-culture flowcharts such as Which Dungeons & Dragons Character Are You? You can sign-up for Lucidchart free for 7 days (which can be extended on request) to see what you think for yourself. We also recommend reading our full review of Lucidchart as there’s a lot more to it than we’ve covered here. Price: Single $8.95/month or Team $20.00+/month – Free Trial. Unlike SmartDraw and Lucidchart, OmniGraffle is a desktop diagramming software for Mac. For those that prefer a native desktop flowchart app for Mac over web based apps, OmniGraffle is definitely one of the best diagramming apps for Mac out there. Like Lucidchart, OmniGraffle is also a powerful and design oriented alternative to Visio on Mac capable of everything from wireframes to industrial prototypes but if you don’t need all that, it’s also an excellent tool for creating attractive flowcharts. OmniGraffle can import flowcharts in VDX and VSDX format from Visio but it can only export to VDX used in Visio 2010 or older. There are thousands of stencils and templates for OmniGraffle although the slight drawback is that some of them are part of Graffletopia which costs $24 per year but for this you get a choice of over 10,000 templates including hundreds of flowcharts. There are however other free OmniGraffle templates and stencils resources which don’t cost a cent. Most OmniGraffle stencils and templates are uploaded by other users with very diverse diagramming and flowchart needs meaning there’s a huge variety of themes. The Standard version of OmniGraffle is $99.99 and is more than enough for most flowcharting needs. However, if you need Visio import and export, you’ll need to upgrade to OmniGraffle Pro for $199.99. There are generous discounts for educators and students. There’s also an iOS app for OmniGraffle which allows you to edit flowcharts on iPad or iPhone although this is sold separately for $49.99. You can try OmniGraffle free and even if you decide not to upgrade, you can still use OmniGraffle for an unlimited time as a useful free desktop Visio viewer for Mac. You can also check out out review of OmniGraffle Pro for more. Price: $99.99/$199.99 (Pro) Mac App Store – Free Trial. ConceptDraw Diagram (formerly ConceptDraw Pro) is another professional desktop flowchart software for Mac that works natively on both Mac and PC. Although ConceptDraw Diagram is aimed more at those with advanced diagramming needs, it’s very complete when it comes to creating flowcharts on macOS. If you work in a mixed Windows and Mac environment and don’t want an online flowchart tool, ConceptDraw Diagram could well be your best bet. ConceptDraw Diagram is very good at guiding you through flowchart creation and provides tool tips and explanations of how to construct flowcharts and what individual shapes and symbols should be used for. If you need to import a flowchart from Microsoft Visio, you can import files from all versions of Visio into ConceptDraw Diagram including Visio Stencils in VSSX format. You can also export flowcharts to Visio VSDX format plus other major formats such as vector graphics (SVG, EMF, EPS), bitmap graphics (PNG, JPEG, GIF, BMP, TIFF), web documents (HTML, PDF), PowerPoint presentations (PPT) and Adobe Flash (SWF). You can also export directly to third party productivity apps such as Microsoft Word, Project and Evernote. 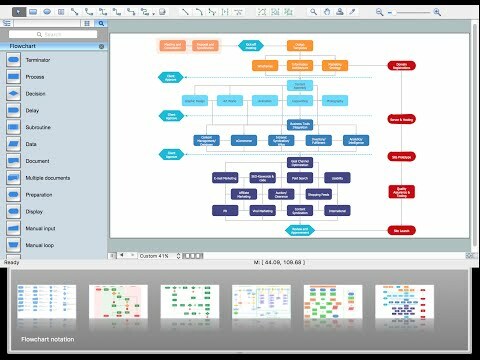 One slight drawback is that the number of objects, symbols and templates is limited in the app itself but you can download more from ConceptDraw Solution Park which also includes audiovisual clips and tutorials to enhance your flowcharts. ConceptDraw Diagram offers a fully functional 21 day free trial and if you decide to purchase it, one license costs $199 which you can use to install on both one PC and one Mac. You can see some examples of flowcharts and diagrams created with ConceptDraw Diagram and you can also watch how to create a flowchart using ConceptDraw Diagram for Mac below. There’s also our full review of ConceptDraw Diagram for more. Price: $199 – Free Trial. If you’re looking for something that doesn’t cost a cent but still packs a punch, Draw.io is definitely worth a second look. Draw.io is completely free to use for individuals (it only requires payment for team plans) but includes premium features such as Visio VSDX import and export. Although it’s Cloud based, you can still work offline thanks to a Google Chrome extension which syncs diagrams and flowcharts when you go online. Draw.io is integrated with most major online cloud storage solitions such as Dropbox, Google Drive and Dropbox so you can choose where your diagrams are stored. Draw.io doesn’t have a huge choice of templates or shapes but the basic are there to enable you to create straightforward flowcharts. 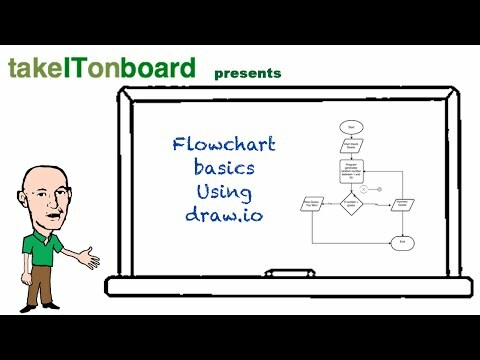 You can watch how to create Flowcharts for free with Draw.io below. Price: Free / Teams $10+ per month. Gliffy is an easy to use cloud diagramming app that’s similar to Draw.io but with more restrictions on the free version. The interface is similar to Draw.io although unlike it, it doesn’t support importing or exporting of Visio VSDX files. Gliffy is very team focused and like Draw.io, also supports offline flowcharting via a Chrome extension. Gliffy uses HTML5 to provide a very quick and snappy diagramming experience with smooth, fast and quick drag and dropping of objects. There aren’t many templates in Gliffy but there are more than enough shapes to create flowchart diagrams as you can see below. Unlike Draw.io, Gliffy isn’t free to use for an unlimited time. Individuals must upgrade for $7.99 per month with team plans starting at $4.99 per user, per month. You can read our full review of Gliffy for more information. Pricing: $7.99/month for individuals. Teams start at $4.99 per user/month. Free for students and 50% off for academic institutions. Creately is another easy to use cloud diagram software that can import Visio files and make impressive flowcharts in minutes. If you want the option of both a cloud and desktop app, then Creately is a good choice because it has an app you can download for both Mac and PC. The Creately interface is slimline and elegant and really looks at home on Mac. All tools are in the top menu and adding flowchart shapes and symbols is fast and easy. There are thousands of Creately templates and to speed-up diagramming, there’s a 1-click create and connect function which automates much of the process. You can create up to 5 diagrams for free in Creately but after that it costs $5 per month. Note that all free diagrams are made public so make sure you don’t create anything that you don’t want sharing. 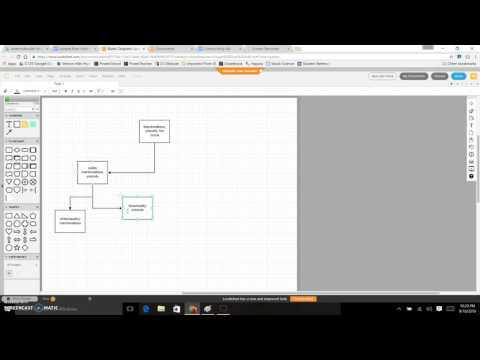 Watch how easy is to create flowcharts with Creately below. You can also check-out our Creately app review for more. Mindcab Incubator is a much simpler and inexpensive flowchart tool for Mac designed specifically for macOS. Mindcab is more a free form flowchart drawing tool than the other applications featured here but is excellent if you need more flexibility than just adding shapes. Mindcab Incubator allows you to easily organize ideas and draw flowcharts without a complicated interface that overwhelms you. You can drag text and images from other applications installed on your Mac such as Safari, MS Word and add them to your flowcharts and link to external web pages and desktop documents. There are also tutorials for using Mindcab Incubator in English, French and German. Mindcab Incubator is otherwise very basic and hasn’t been updated since OS X 10.9 Mavericks but for just $10.99, it’s a very cheap free form flowchart creation tool. Price: $10.99 Mac App Store. Whimsical calls itself a “visual workspace” but it’s primarily used for creating flowcharts, wireframing and writing sticky notes on Macs. Whimsical is Cloud based and is used by some pretty big names including Netflix, Microsoft and Salesforce. Whimsical is extremely simple and all you require is a Google account or email address to get started. Whimsical is extremely fast to use, creates elegant flowcharts and allows you to collaborate with other users in real-time. The main drawback is its limited to flowcharts, wireframes and sticky notes but for elegance and simplicity, it’s a wonderful tool. Whimsical allows you top create 4 flowcharts and diagrams for free but costs $12 per month for unlimited diagrams. Did you know that Google Docs and Drive now offers a free way to draw flowcharts on your Mac. Like most of the Google Docs toolset, its quite simple and basic but very easy to use and works on any platform. All you need is a free Google account in order to use it. 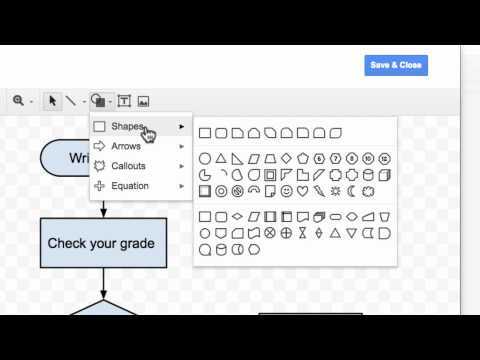 There are an increasing number of Google Docs flowchart stencils and templates to choose from which you can download for free and preview before using. There’s no automated formatting, Visio import or vector graphic support but if you’re looking for something simple and free, it does a very good job. Shapes is an elegant cost effective Mac diagramming tool that produces impressive flowcharts. Shapes focuses on the bare essentials of diagramming and that’s ideal for good looking flowcharts, wireframes and visualizing model relationships. Shapes is also well integrated into macOS and supports Quick Look, Full-Screen Mode, Autosave, and Version Browsing. There’s no Visio import or export support but it does export to SVG and major image formats such as PNG, JPG and TIFF. You can free trial of Shapes. To upgrade to the full version costs a very reasonable $9.99. Price: $9.99 – Free Trial. Textografo is an intelligent online flowchart software that uses syntax to construct flowcharts on your Mac. Textografo is designed specifically for businesses flowchart creation and has specific templates and tools for Process Analysis, Business Operations, Software Development, Sales & Marketing and Customer Service flowcharts. Textografo has a Flowchart Maker, Mindmap Maker, Decision Tree Maker, Organizational Chart Maker and a Sitemap Maker. Textografo requires you to type processes along the left hand margin and then automatically constructs flowcharts in the main canvas on the right of the screen. For example, if you type “#decision” it will automatically insert a decision diamond in which you can then add text. Textografo automatically aligns objects and processes via different layout templates that you can select at the top of the screen although you can manually drag and drop objects. Textografo in an interesting and clean approach to flowchart making. Textografo Essential is $4 per month but limited to 5 diagrams and 40 shapes per diagram. Textografo Premium costs $8 per month with unlimited diagrams and other features such as export to PDF and revision history. You can try a 7 day free trial before having to purchase a plan. You can also read our full review of Textografo for a closer look. 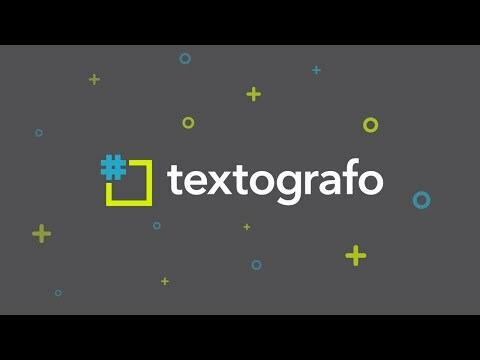 You can watch an overview of Textografo below. Price: $4 or $8/month – Free Trial. MyDraw (formerly known as Nevron Draw) is a cheap Mac desktop diagramming software inspired by Microsoft Office. MyDraw is also one of the few desktop diagramming apps for Mac that supports both Visio VSDX import and export as well as the older Visio VDX format and even Visio VSSX stencils. MyDraw uses the familiar Microsoft Office ribbon interface which makes it easy to get going with. MyDraw has plenty of objects and templates, and is ideal for cross-functional flowcharts, workflow diagrams, data flow diagrams and sketching out process flows. You can try a free trial of NevronDraw or download it from the Mac App Store. You can also read our full review of MyDraw for more. EDraw Max is similar to MyDraw in that it’s a cheap desktop diagramming software for Mac and PC. 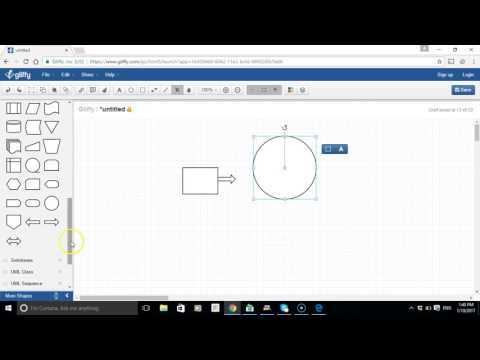 EDraw looks very similar to Microsoft Visio and can import or export Visio files. EDraw Max supports vector graphics and has around 1300 objects and 100 different flowchart templates to choose from. You can add attachments, notes and comments to flowcharts, expand and collapse shapes and collaborate on diagrams via the Cloud. There are many easily accessible flowchart shapes to help illustrate your flowcharts with. Other useful touches are that Edraw Max automatically aligns swim lanes and flowchart objects and can also create double page, super sized flowcharts. Edraw Max is a surprisingly powerful tool considering the cost although like MyDraw, it does feel a bit like it’s been ported directly from Windows to Mac. You can try a free trial of Edraw and licensing costs vary from $179 for 3 years to $99 per year. You can also read our full Edraw Max review. Sensus BPM is a highly specialized business process management flowchart software for business and enterprise environments. Sensus BPM is designed to continually help businesses to improve processes and share them across the entire organization. For most general users, it won’t be suitable but for those in fast moving and changing corporate environments, Sensus BPM is a very powerful business process focused flowchart software for those that need to manage cmplex organizational structures. Note that Sensus BPM is only available on an annual subscription starting at $120 for the most basic version although you can try a free trial first. Price: $120+/year – Free Trial. DRAKON is a free online flowchart software that’s unusually based on the DRAKON visual language that was designed for the Russian aerospace industry. DRAKON has stood the test of time however and makes it surprisingly fast and easy ti create flowcharts on Mac or mobile devices. DRAKON has a very simple and easy to use interface and allows you to invite colleagues to collaborate with you on any DRAKON flowcharts. 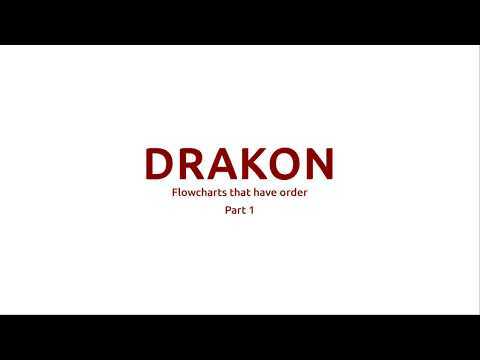 All you need to do is create a DRAKON account to start using it although the free version is limited to 3 diagrams and one user. However the Extended version is just $5 per month and allows 200 diagrams and the Team version costs $12 per month and allows unlimited diagrams and 3 or more users. Students and educators can use all of DRAKON’s features for free. Price: Free Basic / $5 or $12/month plans. If you’re a Microsoft Office user, it’s useful to know that if you already use Microsoft Office 2016 for Mac, you can create very basic flowcharts in Microsoft Word. The toolset, shapes and functionality is very limited however and if you intend on making flowcharts regularly, you’re much better using a dedicated flowchart software like one of the ones featured in this article. The process for creating flowcharts is slightly different in Office 2011 compared to Office 2016 but assuming you’re using the latest version of Office, here’s how to draw a flowchart on Mac in MS Office. You then get a choice of several shapes. For guidance, Rectangle for processes, Diamond for decisions and an Elongated Oval is a terminator to start and end the process. You then simply drag the shape you want using the crosshairs. To connect shapes, you must ensure that the crosshairs are aligned and then on the Shape Format tab, select Align to get a choice of connecting lines. Then simply choose the type of connecting line you want to use. The flowchart features in Office are very limited but suffice to create basic flowcharts. Pages is Apple’s alternative to Microsoft Word for Mac and also allows you to create basic flowcharts within it. Pages is designed for word processing but it includes basic shapes, ability to add text and connect it with lines and arrows to allow you to create simple flowcharts on your Mac. To create a flowchart using Pages, simply click on the “Shapes” icon in the toolbar and drag it where you want to place it on the page. You can change the style of the shape by clicking the “Style” tab in the Format panel and add effects such as shadows and change the opacity of shapes. The same applies for adding text – just click the “Text” tab in the Format panel and choose the font and color that you’d like to use. You can also insert lines using the “Insert” option in the toolbar including lines with arrowheads. Pages is very basic and simple for creating flowcharts but if you don’t need anything fancy, it’s a good quick solution. There are a few important things to consider when choosing which Mac flowchart software is best for you. There are some specific aspects to flowchart software compared to other types of diagram software to bear in mind when you make your decision. Simplicity: Flowcharting isn’t like creating wireframes or prototypes. It’s a much simpler process of generally linking shapes and processes, therefore you want something with a simple interface. A lot of flowchart for Mac software is designed for more than just creating flowcharts and can get unnecessarily complicated. Look for something that makes flowchart tools easy to access. Less Is More: Likewise, you don’t need hundreds of objects and shapes to create an effective flowchart. A lot of flowcharting tools on Mac offer thousands of objects, shapes and template and while these can be useful, the likelihood is that you won’t need most of them. Think about what you’re going to be creating flowcharts for before deciding whether you need to choose a software just because it has thousands of objects to choose from. Automation: One of the most time consuming aspects to creating flowcharts is connecting objects and shapes. Any software that helps automatically align objects and speed-up this process is extremely useful. One reason we like apps such as SmartDraw for example, is because it does exactly this and saves a surprising amount of time messing around trying to make sure your flowcharts are aligned and look professional. Online vs Offline: Almost all the best flowchart apps nowadays are Cloud based. This means that in most cases, you need an internet connection in order to use. Some like Lucidchart have a Chrome plugin that allow you to work offline but if needing a constant internet connection is going to be a problem for you, you’re better off going for a dedicated desktop Mac flowchart software such as OmniGraffle. The advantage of desktop flowchart software is that it usually doesn’t require a monthly subscription. The disadvantage however is that you have to pay for upgrades and you may have compatibility problems when new versions of macOS are released by Apple. Collaboration: If you’re creating a flowchart or org chart alongside other colleagues then you’ll need something that support multiple users. Pretty much all online flowchart software have team collaboration pricing plans which allow multiple users to edit and comment on diagrams simultaneously. Desktop software makes this much harder as you’ll normally need a separate license for each install so consider how many people are going to be using the tool before you decide which is best for your needs. Free Diagram and Flowchart Software: There are many cloud based diagramming software for Mac and PC that allow a certain amount of free use and in some cases unlimited free use. However the catch is often that your diagrams and flowcharts are made public – you have to subscribe or buy the app to make it private. Watch out for this if you’re creating confidential diagrams or flowcharts. Visio Import/Export: Many PC users use Visio to create diagrams and flowcharts. If you’re going to be working on flowcharts and diagrams with Visio users, make sure the software you choose can both import and export Visio VDX or VSDX file formats (VSDX is used by Visio 2013 or later). We’ve indicated here which ones can but if this is a particular concern, you’ll probably find our look at the best alternatives to Visio for Mac more helpful. As we’ve seen, there’s plenty of flowchart software on Mac but the best apps make life much easier at creating them. SmartDraw is the best we’ve used in terms of templates, automated diagramming features, high quality graphics and professional full Visio VSDX export support. Particularly when it comes to quickly drawing process flows, it’s the best process mapping software for Mac we’ve tried. Lucidchart is excellent if you need Microsoft Office integration with useful plugins that allow you to create far better flowcharts in MS Office than Office itself can. If you want a native desktop flowchart application on your Mac, then the options are considerably more limited. OmniGraffle is easily the best desktop diagramming software designed specifically for Mac but it doesn’t come cheap. The same goes for ConceptDraw Pro which may be a better solution if you want a desktop flowchart software on your Mac which also works on PC desktops too. If you’re looking for something less powerful and cheaper, then Draw.io, Gliffy and Creately are also excellent budget diagramming software for Mac users. If you just want something really simple and economical meanwhile, Whimsical, Mindcab Incubator and Shapes are easy to use if more limited solutions. If you have any questions, comments or experiences you want to share about the flowchart solutions covered here, let us know in the comments below. One Macintosh flowchart software that you excluded from this list is ConceptDraw PRO v10. ConceptDraw PRO has thousands of objects and hundred of samples and templates. The RapidDraw technology in ConceptDraw allows one to quickly sketch out a flowchart or swim lane diagram. ConceptDraw PRO v10 will work directly with users of Visio products. ConceptDraw PRO v10 retails for $199. For the iPad there is a free App to view ConceptDraw PRO v10 and Visio 2013 diagrams. This free viewer from CS Odessa, Diagram Viewer, is a great tool to carry your business diagrams with you. Thanks for the suggestion although we did also feature also ConceptDraw in our look at the best alternatives to Visio for Mac. With the help of the built-in automatic graph and tree layouts, you can draw and arrange your flowcharts and org. charts in a snap. MyDraw version 1.0 introduces may improvements. The application now supports Vision drawing (VSDX) import and export. Hi! You may also want to add Sensus BPM Software to your review. With Sensus BPM software you can model, share and improve your Business Processes on a Mac. There is also an iPad version available.. Thanks for the suggestion! We’ll take a closer look at Sensus. People should be aware that the free trial of Shapes 4 allows you to happily work on a file for many hours, saving as you go… and only announces when you try to reopen it next time that the ‘free trial version of Shapes does not allow you to: Open save Documents’. I’ve never seen a trial version behave this way, where you are held ransom in such a way without prior warning.